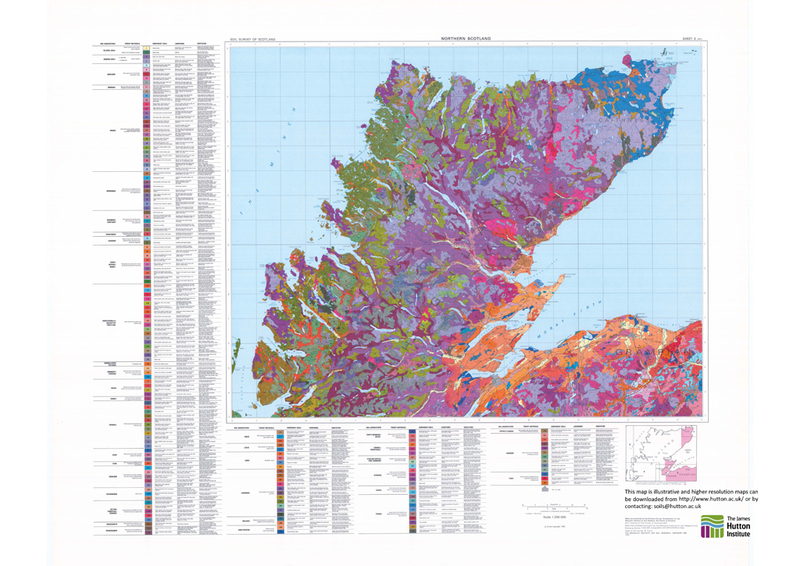 Each of the seven maps can be accessed from either the whole soil map of Scotland by selecting the area of interest and downloading a PDF version (low resolution) or a higher resolution from the table (below). The handbooks can be viewed by going to the table at the end of the page (or click here). 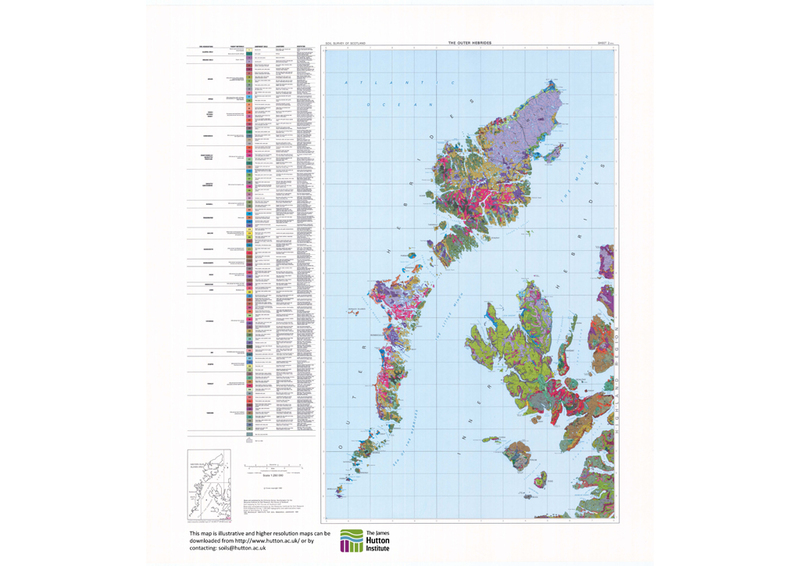 Please be aware that use of the maps is covered by a Ordnance Survey Public Sector (Scotland) End User Licence agreement, a copy of which may be downloaded here . To aid in the delivery of the soils data to our users we have made the following data available for download, these are available from the following page . 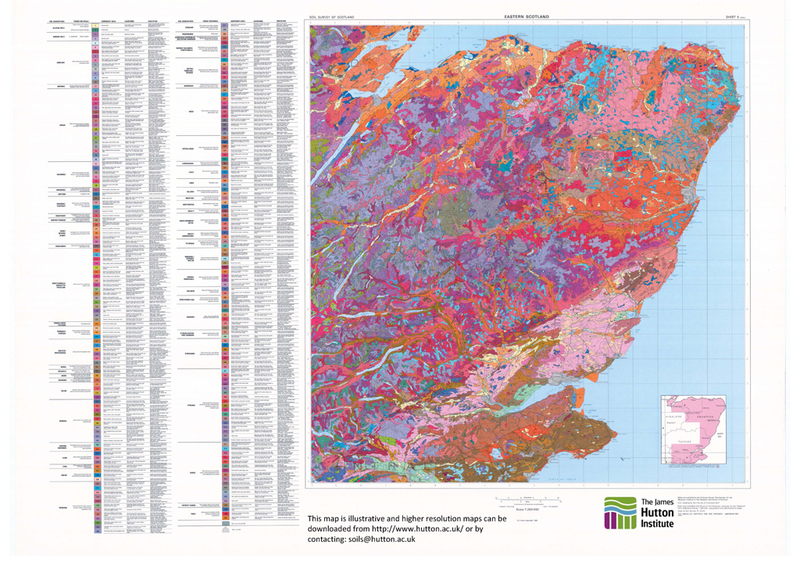 The 1:25,000 Soil Map of Scotland (partial cover) provisional dataset is derived from maps produced by soil surveys from 1947 through to 1987. 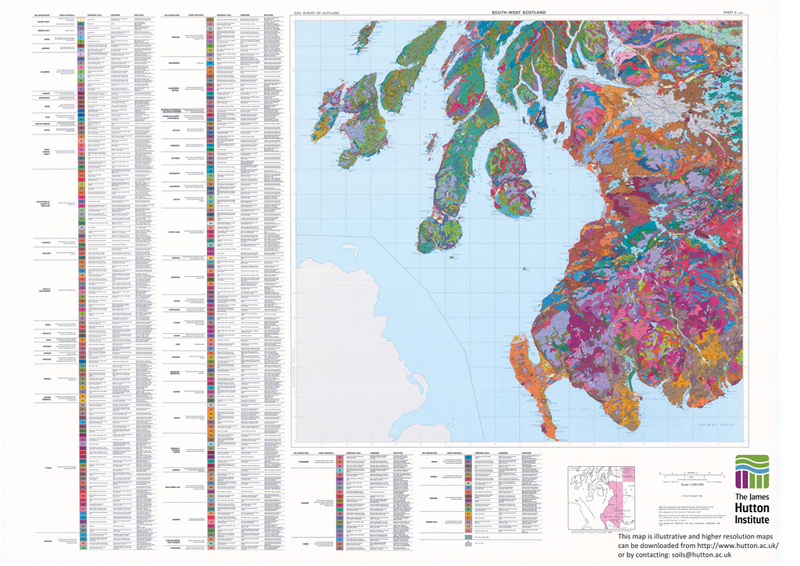 These were published as 1:63,360 scale soil maps. The digital version is being corrected for errors and mismatches in the original data. A phased release of the corrected digital data started in 2014 and was completed by March 2016 and can be downloaded here . In addition, major revisions to the soil classification were made in October 2013 which affect all scale digital datasets. The revised classification can be viewed on the Soil classification  page. View an on-screen image of each map by using the thumbnails in the table. High resolution copies suitable for printing can be downloaded (as pdf documents) from the links in the table. 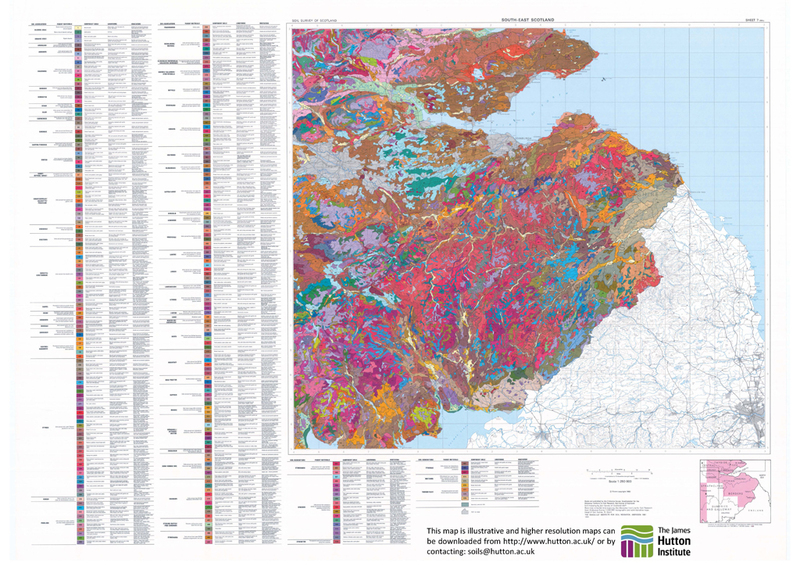 Please contact us at soils@hutton.ac.uk  if you wish 1:250,000 soil maps of a higher resolution suitable for a larger print size. The Land Capability Classification for Agriculture uses the physical characteristics of the land (including its soil, climate, topography and relief) to determine what crops it should be able to grow and how well it should be able to grow them. There are seven classes, class 1 being land capable of producing a wide variety of crops and class 7 being land of very limited agricultural value. Further infromation on the LCA is available . 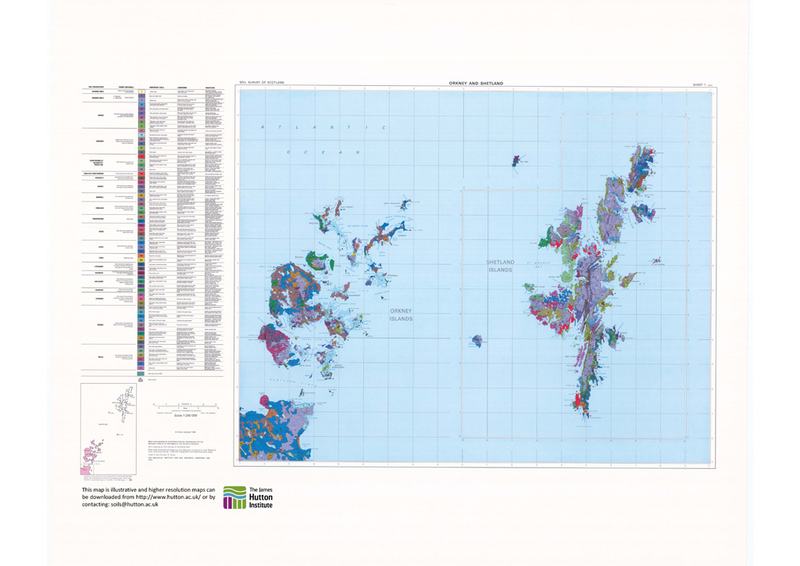 The Land Capability Classification for Forestry is based on an assessment of the increasing degree of limitation imposed by the physical factors of soil, topography and climate on the growth of trees and on silvicultural practices. The system described is designed for use at several levels depending on the amount and accuracy of the available data and on the purpose for which the information is required. 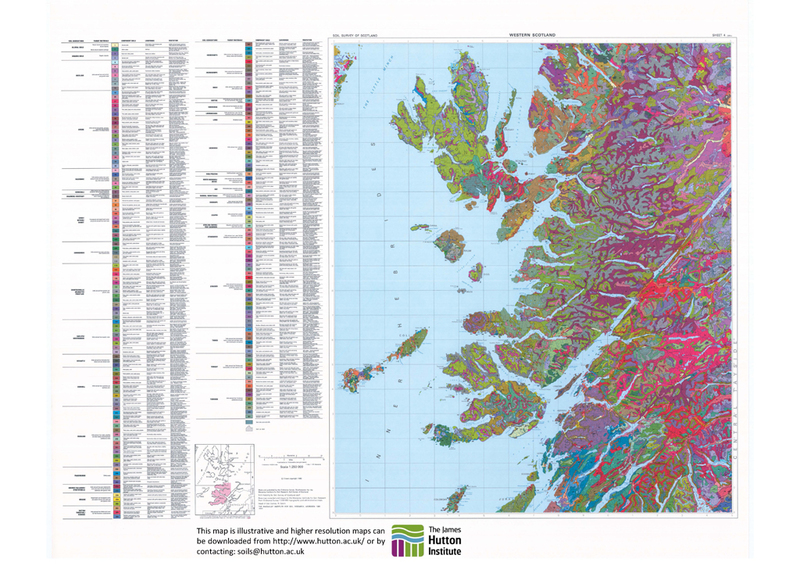 The main use of the Land Capability Classification for Forestry is as an aid to decision-making at broad planning levels, as a guide for land managers and as a statement of the natural resources of the land of Britain in terms of forestry potential for educational and general interest purposes. The system is an interpretation derived from several sources and, as with all such approaches, will be subject to some degree of arbitrary decision. Further information on the LCF is available . The background to the development of the soils resouces is outlined in an excerpt  from the Society of Cartographers Bulletin published in 2015.